Proteins are at the root of virtually all bodily functions, from growth to metabolism to transporting oxygen around the body. Learn how your body makes or ingests all the protein you need. Proteins include meat, fish and eggs. Every process in our bodies require protein, metabolism, hair growth, immune system, enzymes to hormones. Amino acid is the building block of proteins. There are 22 types of amino acide - 8 of which must be ingested. They perform almost all your body's functions. From building your muscles, to transporting oxygen, to forming your hair and nails. And they're an essential part of your diet proteins. 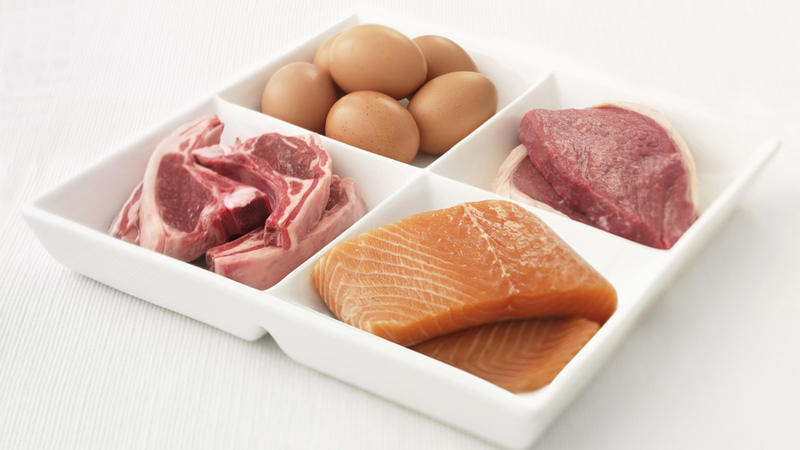 Meat, fish, eggs, dairy products, beans and nuts are all rich sources of protein.